Sometimes, we Artists wait for a moment of inspiration or creativity to make a drawing. 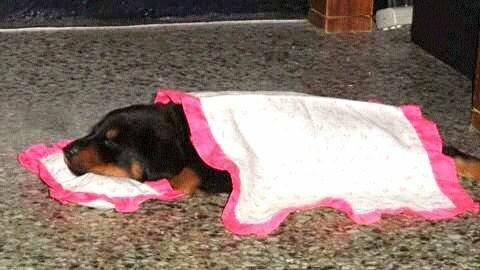 In March 2018 a friend from high school sent me a picture of his pet Thor, a little dog that looks like a rottweiler but is not 😃; well, was so beautiful for me to see him sleeping with a little blanket and a pillow and it melted my heart of cuteness~. ¡oh que cosa mas hermosa! se ve tan tierno y dulce bajo esa manta. El dibujo es muy impresionante, has logrado mucha similitud con la imagen real. Gracias por las Felicitaciones, agradecida por tus comentarios. 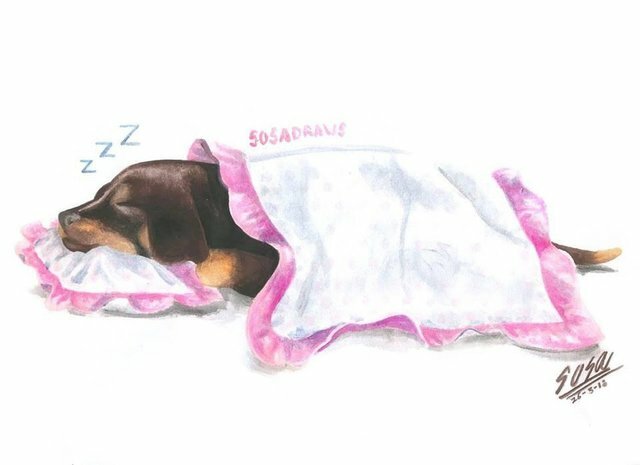 Very cool and sweet drawing. Well done! Thanks, it was one of those drawings that I don't do very often, but it turned out well.